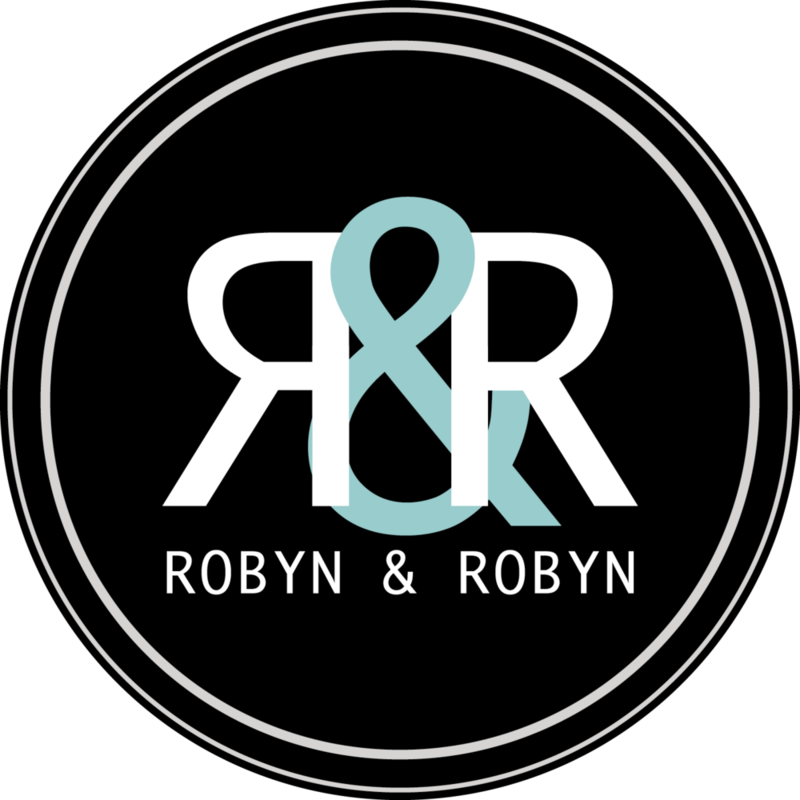 Founded in 2015, at Robyn & Robyn, we are more than a team of creatives. Robyn & Robyn is about helping a brand find its roots, stay authentic, and empowering them to embrace their strengths and characteristics. We are insatiably curious. We ask deep questions. We love to experiment. We appreciate the honesty of simplicity and the complexity of details. And we’re always prepared for a creative challenge. Breathe life + purpose into new + established brands. We’re much more than designers and storytellers — we’re creatives unlocking each brand’s potential to grow and reach higher. We empower brands to find their voice, tell their stories, and above all — fly. We tap into your brand’s creative pulse and draw out the designs and stories that make your brand truly unique. Robyn & Robyn was founded by two sisters, both sharing a passion and appreciation for art and technology. Raised in an environment that emphasized the value of both, they grew up inspired to merge the two in their individual careers. Robyn & Robyn is the culmination of their talents, passions, and aspirations. Founding sisters, Michelle Robyn Erwin and Danielle Robyn Erwin value collaboration and teamwork, and have a deep respect for the mediums and individuals they work with. Today, drawing from the lessons they’ve learned during their own professional creative journeys combined with sensitivity and respect for individual worth and uniqueness, Michelle and Danielle Erwin encourage clients to be brave, to unlock the possibilities of creative freedom, and transform their brand and business. The Robyn & Robyn team consists of respected talented consultants the founders have thoroughly enjoyed working and collaborating with. As a team, Robyn & Robyn values the importance of quality and making its clients visions come to life.
. Founder, Creative Brand Consultant . Some say artists are born. Others say artists are made— and taught—every day, from an early age. For Michelle, art has always been an intrinsic aspect of everyday life. And as a professional creative brand consultant, she finds inspiration everywhere, in anything. She has learned the power of storytelling that draws inspiration from interpretations of simple, everyday life. She honed her creative passion into professional skill at the University of California, Santa Barbara where she graduated with a Bachelor of Arts in Film and Media Studies. The program introduced her to the psychology of why people react to what they see and hear, and has shaped the way she tells brand stories with design. Her career began as a Brand Marketing intern at NBC and progressed to working with high-end luxury real-estate professionals in Beverly Hills. In 2015 Michelle stepped out on her own to establish Robyn & Robyn, a brand design house, with her sister as partner. The design house offers a full suite of creative services including branding, social media, styling, press kits, copywriting, film editing, event design, graphic design or print and digital forums, website design, and graphic animation. Clients have expressed their delight with the agency's design sense, creative poise, and ability to engage and deliver consistent, high-quality work. In 2016, Robyn & Robyn was the recipient of the 2016 Branding Expert Award. The recognition only further affirms the talent and agility of the design duo previously voiced by impressed clients. But the duo's eyes are set on greater heights, gazing beyond client satisfaction on to superior design excellence. For Danielle, the beauty of design is in the details. She loves finding a good story and meticulously pouring that into her designs, giving them life and purpose. Like a filigree, she brings together the fine intricacies to create a complex and beautiful masterpiece. Experienced in designing and executing large-scale marketing campaigns, Danielle Robyn Erwin brings her passion for design, marketing and branding to Robyn & Robyn. Her creative passions extend beyond graphic design, into film and fashion. Danielle is certified in Fashion Merchandising and has a Bachelor of Arts degree in Film and Media Studies from the University of California, Santa Barbara. Recent creative projects include a film collaboration with well-known artists and musicians, package design and photography for product development, foundation fundraising, personal styling, and event styling for festivals and corporate clients. Danielle believes in the importance of staying ahead of the curve and maintaining relevance in our evolving worlds of technology and design. With this in mind, she is constantly looking at ways to keep the Robyn & Robyn team in the know of the latest trends, ideas and techniques. In turn, the Robyn & Robyn team brings only the most modern and relevant ideas to clients, helping them maintain relevancy in their respective fields. Alexis Dickey has been capturing unique moments for the last 10 years. As an actress, filmmaker, and photographer she has been intrigued by the subtle yet beautiful emotions we walk around with every day, yet hardly ever let people really see. With an eye for subtle human moments, her photos are able to stand out as something special. Alexis's clients over the last 6 years have been everyone from CEOs, life coaches, actors, big to small business owners, and young entrepreneurs. Companies include Technicolor, ABC, NBC, HBO, and of course Robyn & Robyn.
. Brand Strategist & Writer . As a creative, Vitalina is inspired by people: the passions that drive us, the emotions that express us, and the experiences that shape us. Her approach to copywriting and branding projects involves blending creativity, research and strategy. The end results are engaging, thought-provoking and effective copy that meet strategic marketing and communications goals. Thanks in part to a background in fashion design, she brings an empathetic and emotional element to every project, creating content that resonates with audiences and clients. She has experience working for startups and various marketing agencies, leading and executing marketing campaigns that involved influencer marketing, video production, paid social media advertising, and content marketing. Past successes include growing a client's product sales from 1 unit/day to over 500/month. At Robyn & Robyn, Vitalina is involved in branding, copywriting and marketing projects. One of our core values as a company is to actively contribute back to the community using our creative skill sets. We proudly volunteer with Working Wardrobes as stylists and personal shoppers, and contribute in other capacities as often as possible. Working Wardrobes is a non-profit organization headquartered in Irvine, California dedicated to changing the lives of nearly 95,000 men, women, veterans, and young adults overcoming difficult challenges such as alcohol and substance abuse, domestic violence, incarceration, homelessness, catastrophic illness, and traumatic financial loss. These individuals are referred to Working Wardrobes from more than 60 programs throughout Southern California.